The cover of this alone was enough to pique my interest. You know what they say; come for the cover, stay for the music, right? 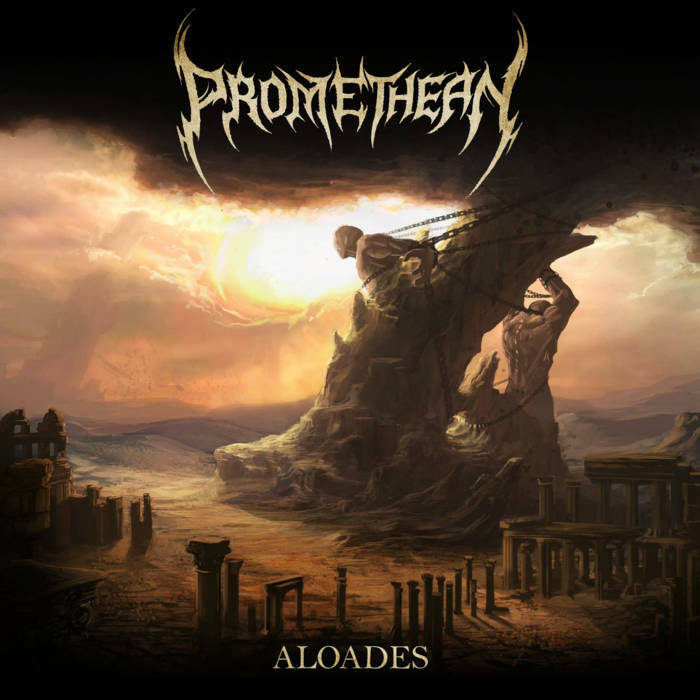 Bands like Emperor, Fleshgod Apocalypse, and Septic Flesh are the obvious reference points for a band like this, with Promethean showing that they have a lot of promise on this EP and lofty aspirations to match. The music here is very keyboard-heavy, but that’s no bad thing for the most part. Sweeping across the music like a classical music score to an ancient battle scene, they add character, texture, and emotive weight to the rest of the music. As key focal points in the band’s music, these orchestral elements are some of the most enjoyable parts of this release, although they would be far less impactful without the underlying metal. The singer’s voice is a huge asset to the band. He roars, bellows and growls with much power, adding a brutal edge to everything that he touches. Very nice. The screams that accompany are very well-performed too. The production is perfectly serviceable, although my only slight quibble is that I would prefer a little more weight to the guitars, as sometimes they’re drowned out by the extensive orchestration. Apart from that though, there are no real issues. A strong and extremely promising debut release from a band I sincerely hope we hear a lot more of in the future. If they can keep up the quality levels and sort out a few production niggles, then their first full-length should be quite an experience. This entry was posted in Death Metal and tagged Black metal, Death Metal, Emperor, Fleshgod Apocalypse, Metal, Promethean, Septic Flesh, Symphonic Blackened Death Metal, Symphonic Death Metal. Bookmark the permalink.